Pioneers in the industry, we offer cylinder position sensor and capacitive proximity sensors from India. Backed by our rich industry experience, we are noted amongst the foremost entities of Cylinder Position Sensor. The offered position sensor is developed utilizing top-notch quality raw material and advanced machinery under the supervision of our experts. Our position sensor is inspected on several parameters in order to deliver defect free range. Additionally, this position sensor is accessible in various specifications as per precise requirement of clients at reasonable prices. 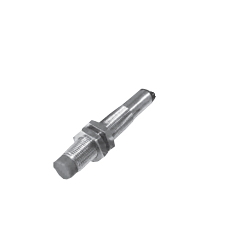 Assisted by rich industrial experience and modern technical knowledge, we are able to offer Capacitive Proximity Sensors that are demanded for detecting induction of current in rotors or mixers, demanded in construction and mechanical industry. This proximity sensor is developed in sync with the standards of industry by our highly qualified professionals using optimum quality raw material. The offered proximity sensor is used to detect the presence of nearby objects without any physical contact.